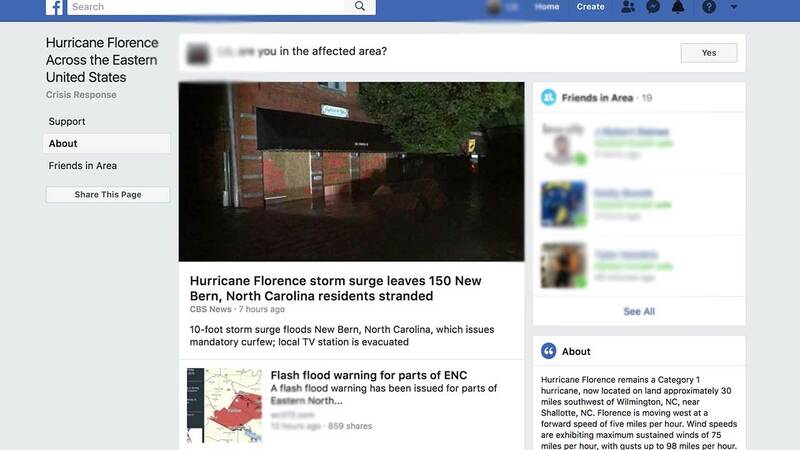 Facebook has activated their safety check feature after Hurricane Florence made landfall in North Carolina. Safety check allows people in the affected area to let friends know they are safe. Facebook has also other features within safety check that "allow people to ask for and give help to one another during a crisis." Hurricane Florence came ashore as a monster-sized category 1 storm, bringing flooding rains and destructive winds.